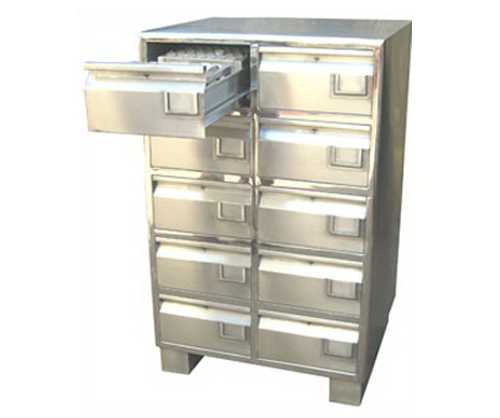 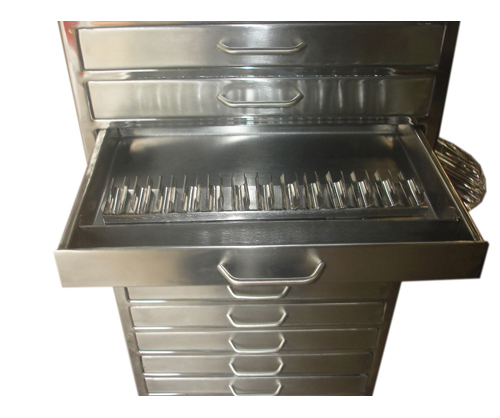 SANITT is the leading manufacturer, exporter and supplier of Die punch cabinet which is used to store table compression machine dies & punches. 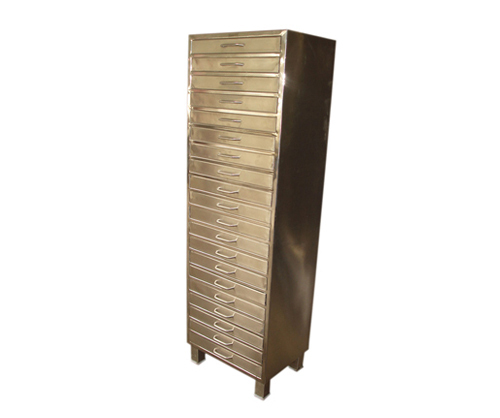 Size : Available with 5 drawers,10 drawers,15 drawers. 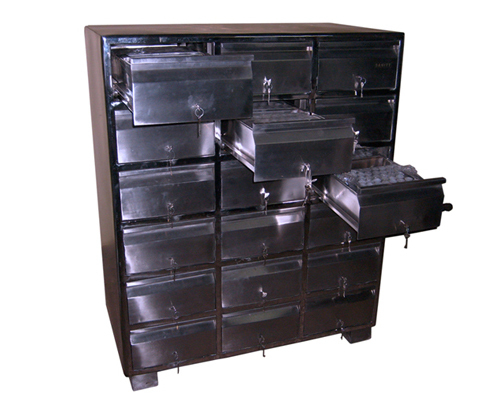 Standard model available with 50 upper punch + 50 lower punch and 50 dies storage capacity in each drawer & also custom made. 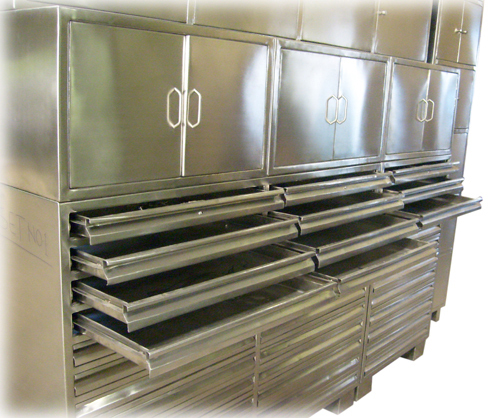 • SS drawers sliding on Heavy duty stainless steel channels with bearing. 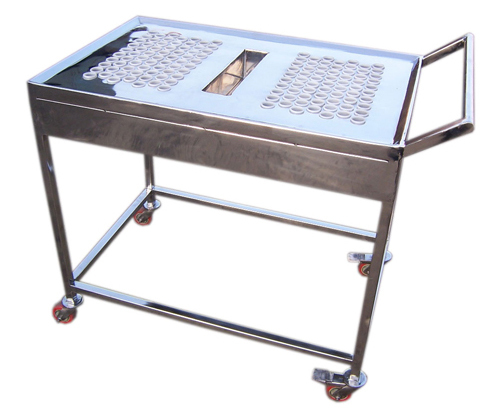 • Available with individual lock or center locking arrangement. 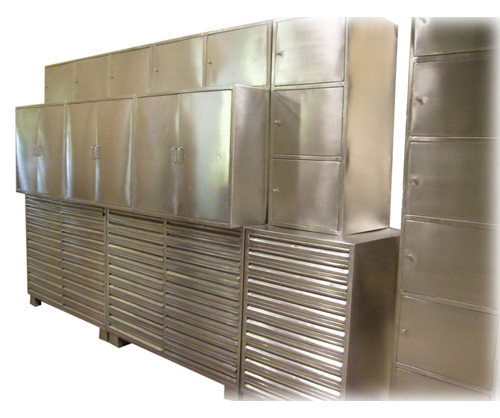 • Available for B tooling ,BB tooling , D tooling.